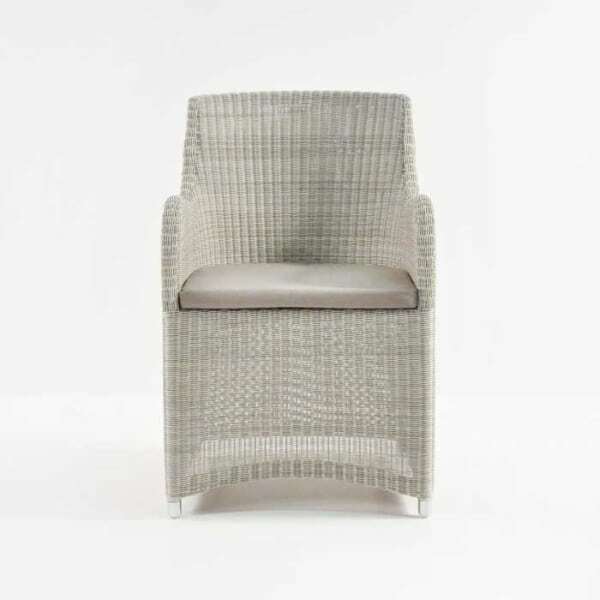 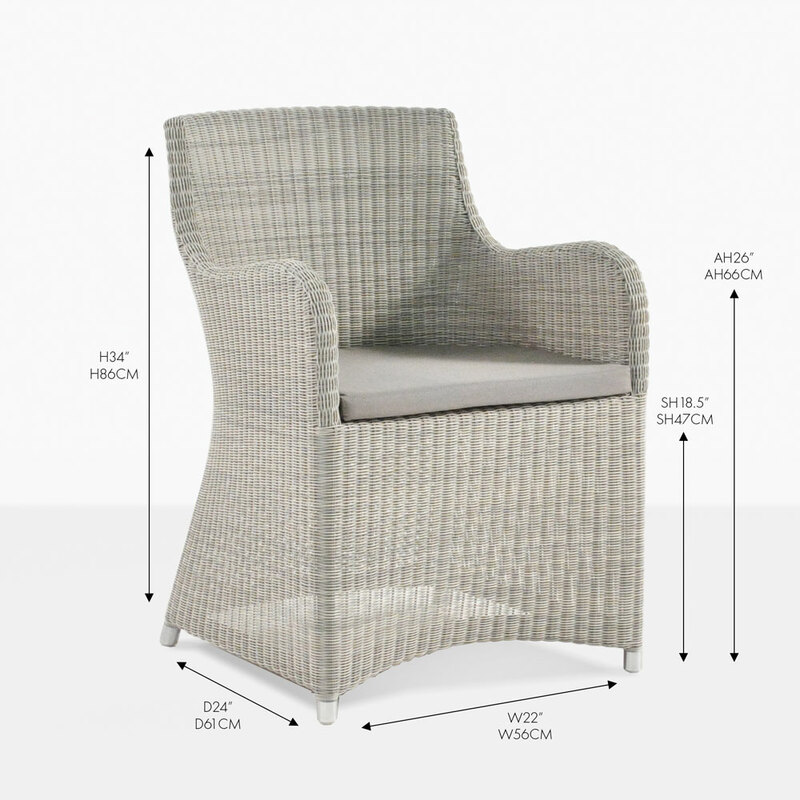 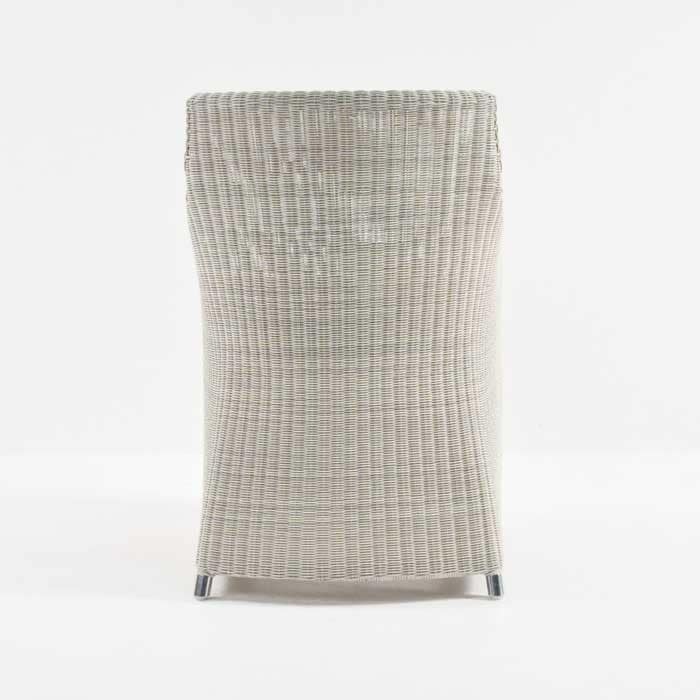 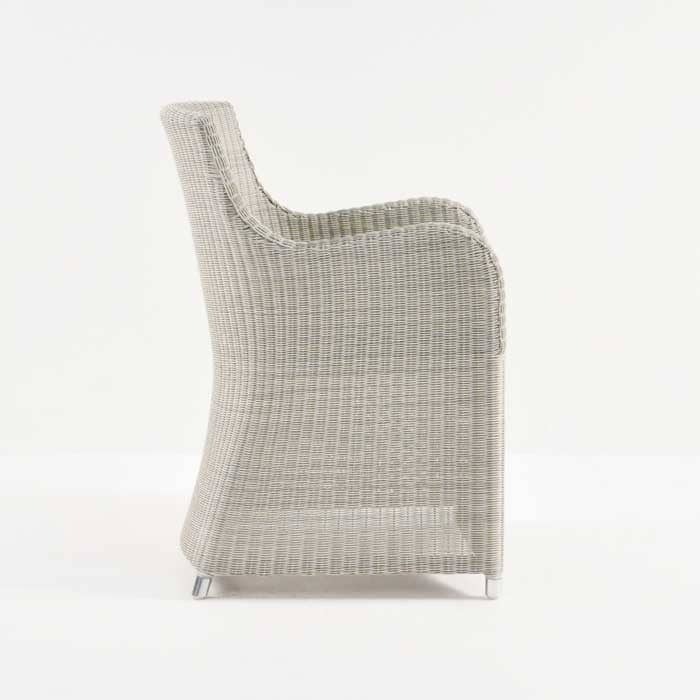 This is a lightweight wicker dining chair but it’s heavy on style and presence, while still maintaining a comfortable footprint to allow all season outdoor dining use. 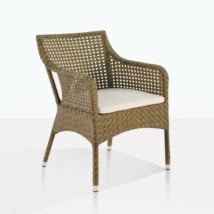 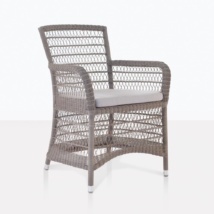 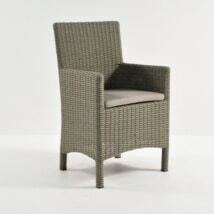 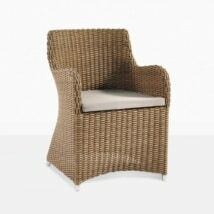 The whitewash Moni wicker dining armchair is perfect to mix and match with any outdoor dining table for an eclectic look. Shown here in Whitewash, Moni is also available two other colors.